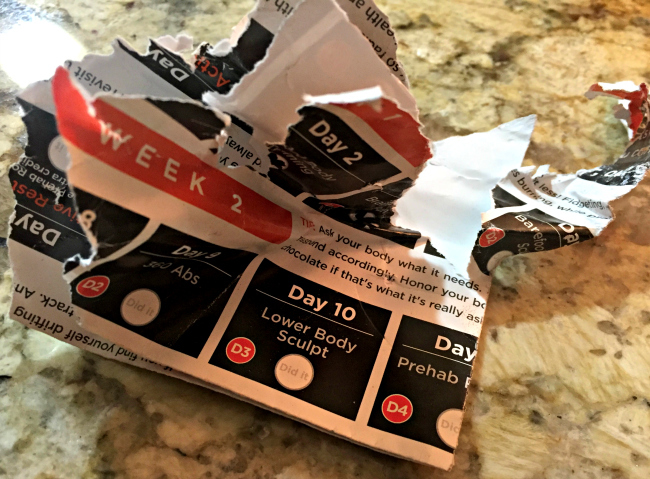 This is what was left of a beautiful, shiny calendar that came with my new exercise program from Jessica Smith. Said calendar was sitting over the kitchen counter top. Bogey Quit That was unsupervised for five minutes. Six minutes tops. I wasn’t thrilled. Had a little heart to heart with the big boy. Do you agree with my assessment, or should I hope for the best?